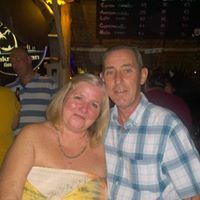 We are a married couple from the UK who have been living in Thailand for the last 3 and half years, we are both 54 years old. We have a number of questions which we would like to ask this forum about moving to Cambodia. We initially plan to fly to Siam Reap late August staying in a hotel for a month. 1. Do we apply for a 30-day e-visa (extendable for an extra 30 days)? 2. When this visa expires what are our extension visa options and costs? ( myself and husband both work online and would this make a difference to the type of visa we apply for long term. 3. As far as ongoing accommodation after our first month, we would like some advice on rental properties around the Siam Reap area as we don't want to be right in the centre but nearer enough to local amenities. We are currently paying $350 for rental but will be looking for properties in the $300 - $450 region. 4. We currently have 2 cats which we would like to bring with us (currently they have alot of outdoor freedom, which would be important), would it be possible to find accommodation to support this. Looking forward to hearing from you with your advice. Answers to 1. and 2. will likely be dealt with by the knowledgeable PSD Kiwi. 3. I have not "lived" in SR but spent a lot of time there. There is lots of nice accommodations in your price range. I like the Wat Bo area, east of the SR river. Easy walk to shopping and restaurants on the west side. Keep in mind SR is a huge tourist mecca, with swarms of Chinese and Koreans on the west side, when they're not out at Angkor Wat. question 1 and 2 Do not confuse an e-visa which you get online with an eb visa you get at the airport. First is a tourists visa nd useless for your purposes. You must get a business visa, sometimes called an ordiary visa at the airport then change it at a visa agent, current waiting time about 10 working days but add a week on for khmer new year. You would be far better flying into Phnom penh to sort it out. Siem reap airport can be tricky. I was refused a business visa on landing and i know other people have had the same problem.Your options would be to go for a retirement visa as you are over 50. technically its 55 but you are close enough. i know people who have got them at 50 but you cannot work, theoretically. If you want to work legally you will need to set yourself up as a business, not necessarily a limited company. question 3 and 4 If internet is required for your job you might want to consider if there is any decent internet service in an area before renting, and decent phone coverage for when the landline goes bang. Be careful where you choose to go. If you rent near an area a foreign investor is considering a new hotel in you might find yourself kicked out pretty quick. Not sure if you have ever been here, if not visit Siem Reap first before you decide, as other posters have said this country is not for everybody. O and welcome to CEO. I would strongly consider visiting prior to deciding to move. 1. There is a Western oriented supermarket - Angkor Market - which this year opened a larger store on the main road from the airport. There is also a Lucky which is more aimed towards tourists than locals but does have some selection of Western Goods. Old Market is a traditional Cambodia market and there are others throughout the town. 2. Lots of restaurants to choose from - both local and touristy. 3. 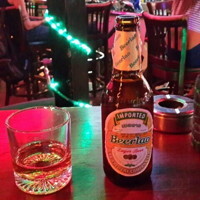 Decent amount of bars and clubs mostly aimed at tourists but some local and some aimed at expats. 4. Health Care isn't great here. There is a Bangkok hospital outside Siem Reap - it is easily their worst hospital in the chain. Very limited capabilites and frankly the quality of doctors isn't the best. Its mainly aimed at tourists with sprained ankles/broken bones, arranging medical flights home on insurance's dime, and births. Everything else this is not the place I'd like to be. If you need serious medical care your heading back to Thailand. Just something to consider. As I tell people considering living here when they visit - just realize that if you have a heart attack here - you will die. 5. There is a country club here if you golf - no idea of fees. And there is a movie theatre here now also but I haven't been so no idea of cost or what they show. 6. There isn't too much else here. This town is geared towards tourists and not much else. 7. Smoke. And lots of it. Your neighbors will likely be so kind as to burn all their plastic and other waste at the very edge of their property so you can get the daily aroma of toxic waste. 8. Open sewage. Much cheaper to just have it run into the ditch that flows by! 9. Rules of the road that go something along the lines of whoever is in the bigger vehicle has the right of way and can drive as fast as they want on any side of the road they want. You'll find lots of decent housing options especially if you can move to the $400-$500 range. Several established realty companies here and any of them can show you many properties that are for rent. You indicate that your both 54. Might want to consider waiting until your 55 to move. Retirement visas are given no questions asked if your 55 or older. As long as you have no intention of working for a company here in Cambodia that may be the simplest way forward and remove the need to get working papers each year. You want an "ordinary visa" not a tourist visa when landing. I've heard of people landing at Siem Reap having problems getting this. But can't speak to it firsthand. If your dressed decently and polite I suspect you won't have any issues. Just politely insist that you'd like to get the visa that can be extended to allow you to retire in Cambodia. BUT again, I'd stress that spending a month here first is your best bet.